My name is Ericka Hart. I grew up in the suburbs of Maryland and also Ponce, Puerto Rico. I survived from a Triple Negative and Her-2 positive two different types in each breast. My mother passed away from breast cancer when she was 38 and I was 13. I was very scared and worried when I found out, but overtime like any other adversity I dealt with it and integrated into my life. I wanted to be involved in the Underwater Healer About Face project because I am interested in Black young and queer survivors seeing themselves in every beautifully creative way possible. I was so excited to be a part! I didn’t really plan for the concept but I just wanted to swim and be naked in the water! On the way home, I felt relaxed, slow and sleepy! It was definitely a workout! Water means a lot to me. I have always been very connected to water. The beach is probably one of my favorite places on earth. I feel healed when I am near or in water. So, this shoot was special to me because I got to be in my happy place. That same night, I couldn’t believe but I slept like a rock! I definitely felt relaxed going to bed. 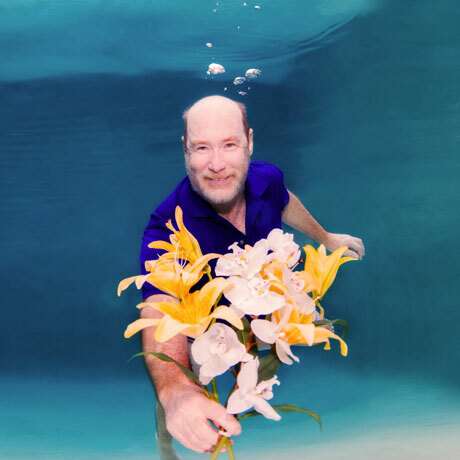 I would totally recommend this underwater healing photography to other survivors or anybody! I do many photo shoots and this was an opportunity to disconnect from looking any particular way. You get to just be free and light. Cancer can often times be related to as a heavy experience so the water offered lots of freedom from that interpretation. Erena is amazing! Definitely a treat to work with!